When a patient in Barcelona experience cavities, ​​it is very important to see a dentist as soon as possible for the diagnosis and it’s treatment. You are probably unaware, that if tooth decay is left untreated, it can lead to serious problems. Undiagnosed and untreated caries is not just a little discomfort and hypersensitivity to certain products (for example, sweets), or pain when drinking hot and cold drinks. Without proper diagnosis and treatment, the cavity can become so large that it affects the pulp inside the tooth. At this point, root canal therapy is the only way a dentist can try to preserve the structure of the tooth itself. In case of damage to the root canal, patients are faced with the irreversible extraction of their natural tooth. Tooth decay is perfectly preventable. Patients are advised to visit their dentist at least twice a year for examination and professional cleaning. 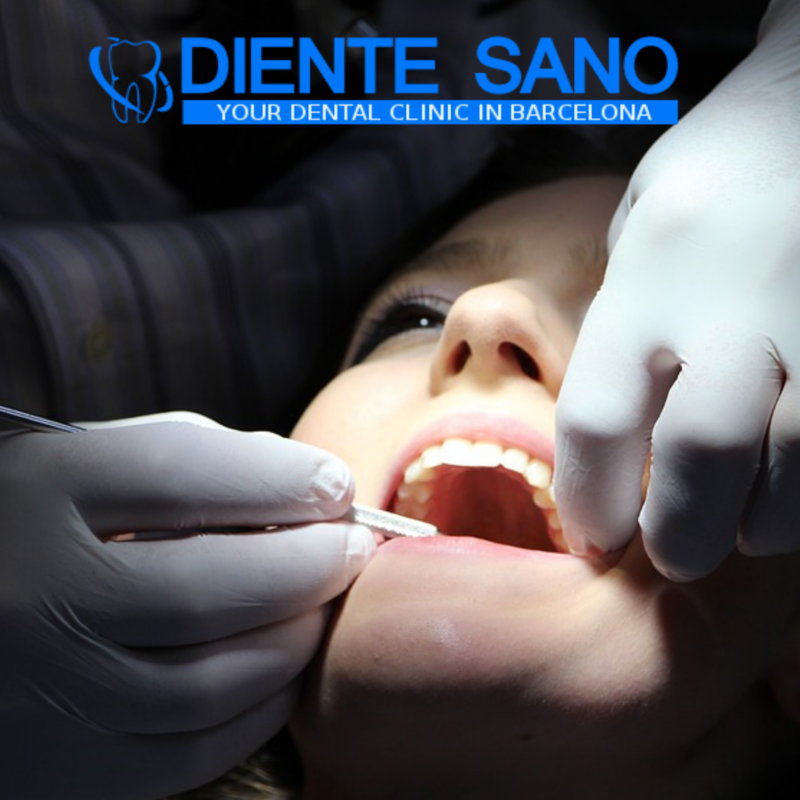 In Diente Sano dental clinic, located in the center of Barcelona, ​​professional teeth cleaning costs only 30 euros! When X-rays are taken, the dentist will also be able to evaluate the structure of the parts that are located under the gum line and are not visible in any other way. X-rays are great tool for diagnostics. However, if patients ignore their routine check-ups and cleansing, they put their smile at risk. Tooth decay can appear and progress unnoticed, without causing any pain or discomfort. If caries is not treated, the tooth may become infected. Root canal treatment is a procedure that can help save a tooth, however, it is not always successful. Diente Sano team offer a wide range of services to help patients living in Barcelona and the surrounding areas keep their smiles healthy and beautiful. If you want to be the proud owner of a beautiful smile, it's time to schedule a visit with our dentists.